Redirect your downspouts to your lawn or garden to reduce rainwater runoff in the street. In addition to watering your plants, this action helps prevent erosion, and cleans pollution out of the rainwater. To learn how to disconnect downspouts click here! 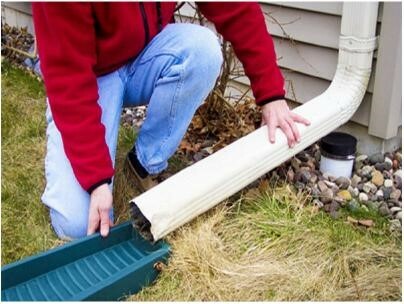 Learn how to maintain your disconnected downspout here!